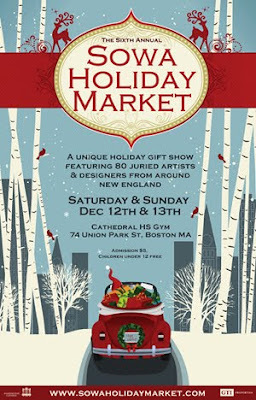 Boston Handmade: BH at Sowa Holiday Market This Weekend! BH at Sowa Holiday Market This Weekend! We will be there Sat & Sun from 10am to 6pm along with another 80+ amazing artists and craftsmen. Need directions? Click here!